Other than roofing, siding material and installation is an important component to keeping your home insulated and protected. 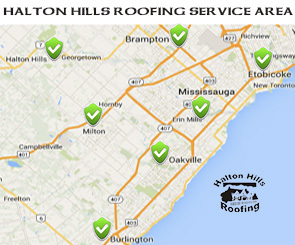 To compliment both the protection and aesthetics of your west GTA roofing, the siding choices we provide come from carefully selected providers and manufacturers. Our professional siding installation jobs will only be as good as the materials we are installing, so we commit ourselves to finding producers who are invested in the well-being of our customers. materials, we are able to offer you a particular selection of products that perform at a higher standard of environmental conscientiousness and efficiency, from production, packaging and shipment to recycling or reusing. Between our premium siding company partners and our own siding installation and repair expertise, your home will have top quality, long lasting performance for roofing, cladding, and all around protection. 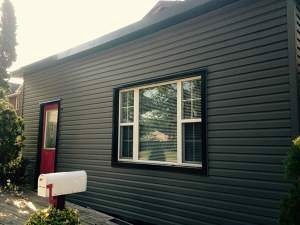 Vinyl is one of the least expensive options for residential exterior cladding. It’s light weight, making it easier to transport and install, which also saves you money. But we know that a low price isn’t enough of a reason to back a product. Vinyl will also give your home extremely durable protection, it can stand up to a wide range of unpleasant temperatures and high speed winds without cracking or buckling. Since vinyl doesn’t absorb water or moisture, it performs well in the heaviest rains and under particularly humid conditions. No, it is not as durable as metal but it certainly will provide you with excellent protection for a lower price. 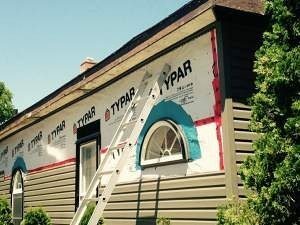 have any insulation between the cladding and the wooden framework and vinyl siding will work for you as cost effective bonus insulation. 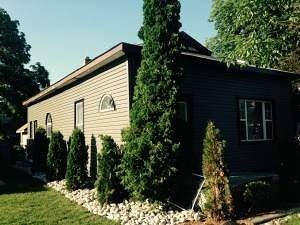 Vertical vinyl siding installation can give your home a unique look, in either a classic smooth finish or a wood grain design to give your exterior walls the look of wooden planks. The interlocking planks will give you the same benefits and protection as horizontal vinyl. We are also proud to be able to offer engineered wood to our residents and home-owners. Engineered wood exterior cladding gives you the beauty, protection and insulation of other wood siding without the problems of rotting, splitting, cracking or insect infestation. It’s also created from completely recyclable wood. We offer this unique crafted product with a 25 year warranty on the cladding and a 15 year warranty on the paint. Halton Hills prides themselves in being energy conscientious and we work with manufacturers that build products for maximum re-usability and recycling capabilities.